Farmers love KISAN and KISAN loves farmers. 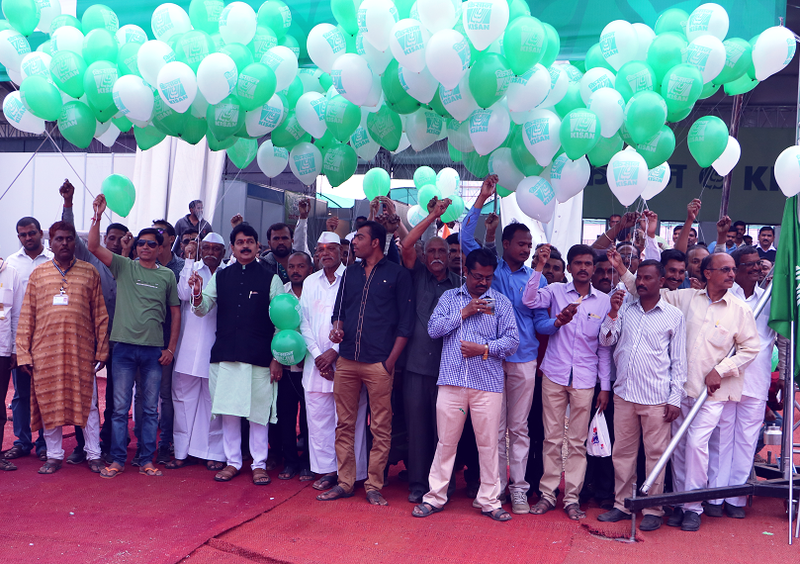 More than 150,000 farmers, agri-professionals, researchers and decision makers visit KISAN in 5 days. This makes KISAN the best platform for agriculture companies to come, connect and conquer the business opportunities. Connect with the prospects before, during and after the event. KISAN is a great opportunity to learn which direction the industry is going in. Not only you can learn about the farming community but also learn about your competitors. All this information will help you stay ahead of your competition and win customers. Stay updated on the progress of Agriculture Industry. Learn more about your customers and what they are looking for. Know more about your competitors and their progress. Develop and strengthen your brand. KISAN is a perfect platform where you can make your company or organisation stand out. Let your customers know how reliable and trustworthy your company or organisation is. Just don’t reach your customers, touch their heart and leave an impact. More than 500 companies – small, medium and large participate in KISAN every year. At KISAN, you’ll have the chance to interact with prospective customers, vendors and companies. This gives you an opportunity to identify people or companies that can help you in your business. 18% GST extra, Taxes & Discount will be calculated at checkout.